Whether framed philosophically as “Why is there a world rather than nothing at all?” or more colloquially as “But, Mommy, who made God?” the metaphysical mystery about how we came into existence remains the most fractious and fascinating question of all time. Following in the footsteps of Christopher Hitchens, Roger Penrose, and even Stephen Hawking, Jim Holt emerges with an engrossing narrative that traces our latest efforts to grasp the origins of the universe. As he takes on the role of cosmological detective, the brilliant yet slyly humorous Holt contends that we might have been too narrow in limiting our suspects to God vs. the Big Bang. 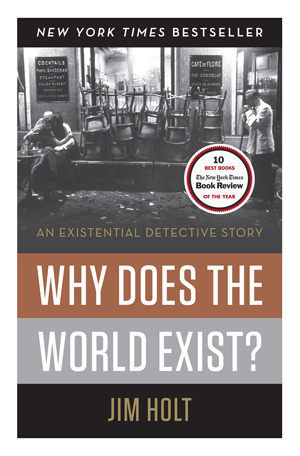 Whether interviewing a cranky Oxford philosopher, a Physics Nobel Laureate, or a French Buddhist monk, Holt pursues unexplored and often bizarre angles to this cosmic puzzle. The result is a brilliant synthesis of cosmology, mathematics, and physics—one that propels his own work to the level of philosophy itself.